Stephen R. DiCiaccio of Woburn, November 8th. Beloved husband of Cynthia Houston. Loving father of Jesse Needham, his wife Meghan of Woburn. Cherished grandfather of Madelyn and Jameson Needham. Dear brother of Jeff DiCiaccio, his wife Cheryl of Hopedale. Loving brother-in-law of Beverlee Carpenter, her husband Bruce of Meredith, NH and beloved uncle of Acacia, Joseph, and Michael DiCiaccio, Kimberlee Miyahira, her husband Lon, Lauren Young, her husband Jeremy, and Craig Carpenter, his wife Angela Wilson. Also survived by many great nieces and nephews whom meant the world to him. Relatives and friends are invited to pay their respects Wednesday, November 14th, from 3-7 p.m., with a prayer service at 6:45 p.m. at the Lynch-Cantillon Funeral Home, 263 Main Street, Woburn. Burial will take place at the convenience of the family. Remembrances may be made in Stephen’s name to Mission Wolf PO Box 1211, Westcliffe, CO 81252 ( https://missionwolf.org/donate/ ) or Charley’s Strays PO Box 64, Limestone, ME 04750 ( https://www.charleysstrays.us/ ). To leave an online condolence, story or message please visit www.lynch-cantillon.com or find us on Facebook under Lynch-Cantillon. 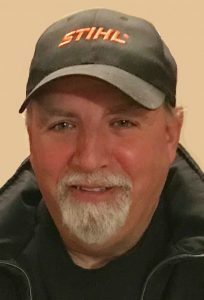 Stephen R. DiCiaccio, a resident of Woburn, died unexpectedly, after a brief illness, at his home, Thursday, November 8th at the age of 62. He was the beloved husband of 33 years to Cynthia Houston. Born in Medford, Stephen was the son of the late Salvatore and Rose M. (Cirone) DiCiaccio. He was raised in Stoneham and a graduate of Stoneham High School. For many years, Stephen worked as a lead technician in Research and Development. Stephen was a member of the Reading Rifle and Revolver Club and had a fondness and love for all animals. Stephen enjoyed nothing more than spending time with his family, especially his grandchildren and great-nieces and nephews. Along with his wife Cindy, Stephen is survived by his son Jesse Needham, his wife Meghan of Woburn. Cherished grandfather of Madelyn and Jameson Needham. Dear brother of Jeff DiCiaccio, his wife Cheryl of Hopedale. Loving brother-in-law of Beverlee Carpenter, her husband Bruce of Meredith, NH and beloved uncle of Acacia, Joseph, and Michael DiCiaccio, Kimberlee Miyahira, her husband Lon, Lauren Young, her husband Jeremy, and Craig Carpenter, his wife Angela Wilson. Also survived by many great nieces and nephews whom meant the world to him. Relatives and friends are invited to pay their respects Wednesday, November 14th, from 3-7 p.m., with a prayer service at 6:45 p.m. at the Lynch-Cantillon Funeral Home, 263 Main Street, Woburn. Burial will take place at the convenience of the family. Remembrances may be made in Stephen’s name to Mission Wolf PO Box 1211, Westcliffe, CO 81252 ( https://missionwolf.org/donate/ ) or Charley’s Strays PO Box 64, Limestone, ME 04750 (https://www.charleysstrays.us/ ). To leave an online condolence, story or message please visit www.lynch-cantillon.com or find us on Facebook under Lynch-Cantillon. Relatives and friends are invited to pay their respects Wednesday, November 14th, from 3-7 p.m., with a prayer service at 6:45 p.m. at the Lynch-Cantillon Funeral Home, 263 Main Street, Woburn. Burial will take place at the convenience of the family. Remembrances may be made in Stephen’s name to Mission Wolf PO Box 1211, Westcliffe, CO 81252 ( https://missionwolf.org/donate/ ) or Charley’s Strays PO Box 64, Limestone, ME 04750 ( https://www.charleysstrays.us/ ). To leave an online condolence, story or message please visit www.lynch-cantillon.com or find us on Facebook under Lynch-Cantillon. So sorry Steve was a great guy. I am sorry we lost touch over the years..
Omg Cindy Jesse and Meghan I just got this information today! Mark and I are so so sorry! Please call (603) 508-2649. We love you all! Our thoughts and prayers are with you! Cindy and Jesse, So sorry to hear of Steve’s passing. My thoughts and prayers are with you both. My deepest sympathies to Cindy, Jesse and family. I am so very sorry for your loss. Keeping you in my thoughts and prayers. So sad to read this notice. What a wonderful picture you chose that shows all. I was saddened to hear of your husband’s passing. Carole and I will keep you and your family in our prayers…God bless. Our heart felt condolences to Jesse, Meghan Madelyn and Jameson and your entire family. May you find the peace and strength you need to carry on during your darkest hours. You are not alone. Cindy and Jesse and all those he leaves behind. Steve and his wife are friends of my family. Steve and I would sit at the kitchen table and commiserate about headaches! We both had them off and on. He was kind, considerate, supportive, and he loved driving his black truck. Also, he always wore a baseball cap–it became his trademark. He was soft-spoken and kind and I will remember his presence forever. So sorry for your your loss. Steve was a great guy and will be greatly missed. So very very sorry to hear this sad news. Thoughts and prayers for Steve and to his family. Steve was a good neighbor. Always asking about Dawson. He took him for walks with the dogs and helped us shovel our sidewalk. We won’t forget that. He will be missed. My condolences to the family and friends of my nephew, Stephen DiCiaccio. Steve and his family lived upstairs from me in Medford before moving to Stoneham. Cindy and Jessie, I am so very sorry for your loss. Steve was a great guy who always reached out to help his family and neighbors. I will miss him very much.